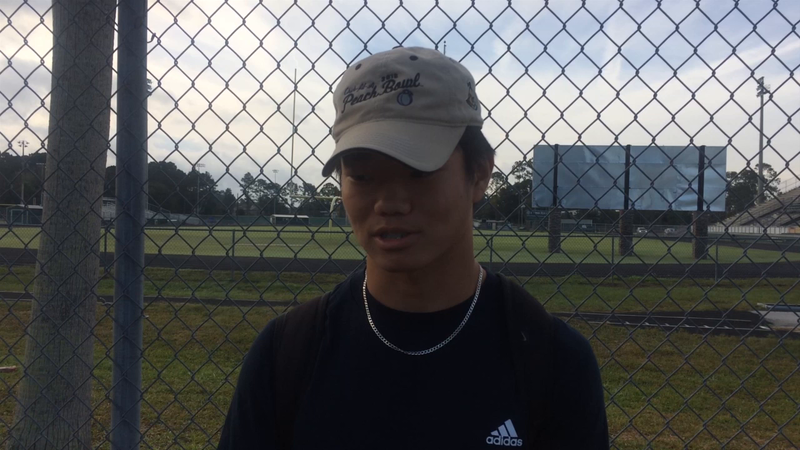 This week’s Athlete of the Week segment features Jacob Allsup, a Nease High School football player who made two game-saving tackles to clinch a big win over St. Augustine last Friday, Oct. 19. Beating St. Aug. That was a crazy game. We have a three-way tie in the district now; we haven't beaten St. Aug. Last time was my freshman year and that game was crazy too. Being on a team that has beat them is a huge accomplishment. Was the St. Augustine game the most memorable you've ever played? Yes. It was just such a back-and-forth game. There were so many big plays that all my teammates and I made that allowed us to win that game and there's a lot of things that went our way, too. I just feel like it was destiny for us to win that game. I wake up in the morning, go to lift, make sure I'm eating the right diet, eating a lot of protein, eating a lot of carbs, trying to gain as much weight as possible. I’m always lifting and working on my agility. Another aspect that people don't really focus on is the mental side of football. I spend a lot of time watching film. The majority of my time is spent lifting, watching film or at practice.